Situated in a prestigious corner of bustling new hope, with all the amenities of borough living including public sewer, this 5-acre offering is a rare paradise for anyone who loves to fill a house with friends and entertain! Excellent find for multi-generational / in-law / extended family arrangements. Converted from what was once a b&b the current owners incorporated numerous upgrades and updates throughout. 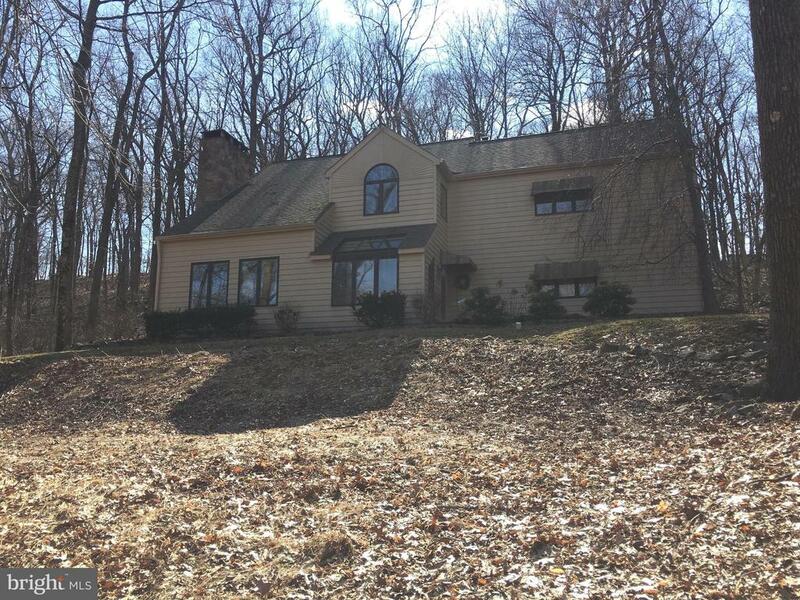 This sprawling home includes 5+ bedrooms and 8. 5 baths, a vast, open gourmet kitchen/great room with long counter seating that shares in the lodge-like warmth of a roaring stone fireplace. A cozy loft space overlooks the great room. The daylight lower level includes a second full kitchen, and fantastic game room/party space. On crisp fall evenings, gather around the firepit after hiking along aquetong creek that borders the grounds. Culinary enthusiasts can finally realize their dream of farm-to-table cooking with plenty of room to cultivate vegetables. Enjoy the numerous outdoor living areas located throughout the property. Truly a stand-out, you'll be hard pressed to duplicate this anywhere else in the borough. Don't miss out! Location, location, location. 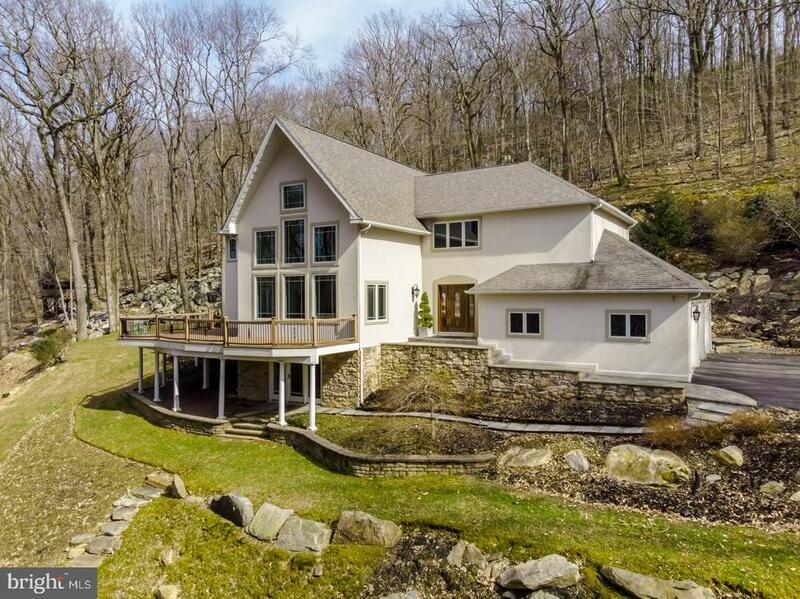 Prominently displayed atop a hill this custom home sits on a magnificent 2. 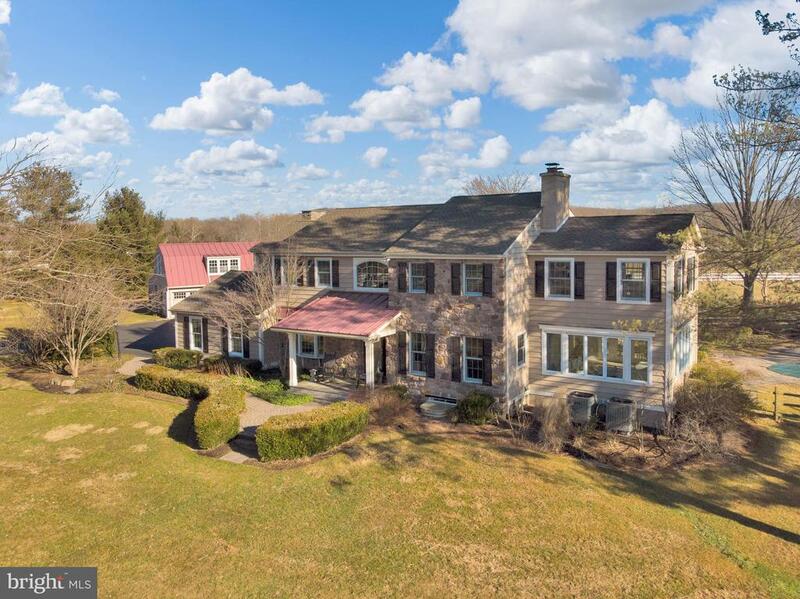 10 acre setting in the new hope solebury school district where the high school ranks number two in the state of pennsylvania. Designed and built by an architect, this unique home is deceiving from the outside and has 3,653 sf of living space on first and second levels as well as an additional 1,474 sf of finished living space below ground which includes a pool/recreation room, a bedroom, a full bath and an office which brings the total living space to 5,127 sf. In addition there is an unfinished basement for storage. The large entry foyer welcomes you with amazing views of the front property, newly refinished wood flooring and a beautiful floating staircase. The recently updated gourmet kitchen was designed by a professional chef for maximum cooking and entertainment capabilities and boasts new cabinetry, new granite counter tops, new stainless steel appliances, center island with seating and newly refinished wide plank wood flooring. There is a vaulted ceiling with exposed wood beams, and a sliding glass door that leads to an expansive deck and hot tub. The beautiful kitchen overlooks the spacious family room which also has a vaulted ceiling and a sliding glass door to the deck. The floor to ceiling stone fireplace flanked by over sized windows is the centerpiece of the amazing two-story living room with exposed beams. This beautiful room can be viewed from the sophisticated dining room up above and from the loft on the upper level. The spacious master suite offers a large bedroom with a cathedral ceiling and wood beam accent, a newly updated master bath and walk-in closet. There is three zone heat (three heaters replaced 2009/2010/2015). Kitchen update (5/17), master bath update (5/17) and powder room update (5/17), new carpet in hallways (3/17), refinishing wide plank flooring (5/17), and new lower level windows 2012. The exterior was painted and new gutters and gutter guards installed 2012. Living room and one bedroom carpet replaced 2014. A two car garage and generator complete this amazing home. You will not believe the views! Minutes from new hope which was recently named "pennsylvania's prettiest town" by architectural digest magazine! Tranquility, seclusion, peacefulness, nature trails, charm, perfection". "things that 4627 upper mountain rd home has". Ding, ding, ding! 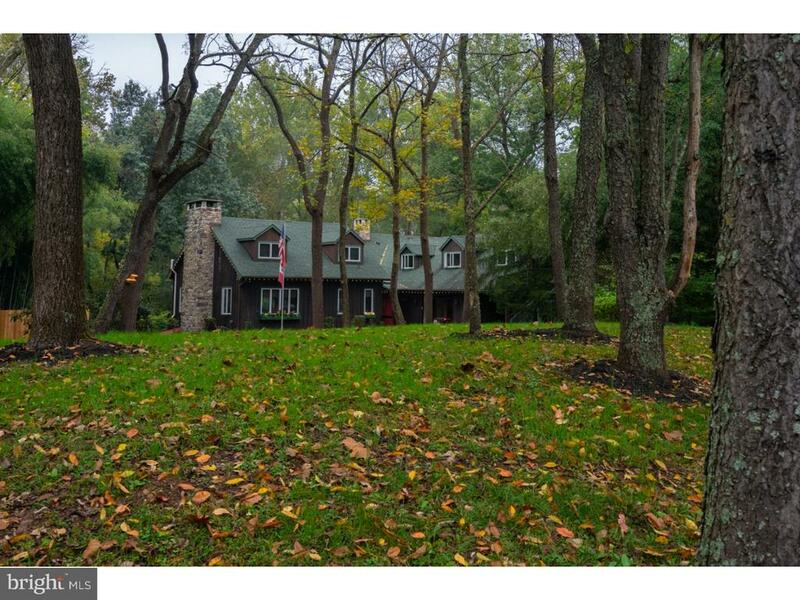 Be the winner of the classic, circa 1880, bucks county dream home on 9. 8 acres of buckingham mountain real estate. This sanctuary location exists down a long drive where a 2 bedroom 2 bath home with 1 bedroom 1 bath guest home sits with its previous owners $160k worth of improvements and the current home owners $50k. The bluestone porch greets your guests as they then enter a sunroom with exposed stone walls. Into the main home there is solid wood floors and wood burning fireplace in the living room and wood floors to the dining room. The open flow from updated kitchen to family room is sun filled with vaulted ceilings and more exposed stone walls. Entertaining flows to the bluestone patio thru french doors where you can take in the sights and sounds of nature at its finest. The kitchen is updated with old growth pine wood countertops and new appliances and light fixtures. Upstairs of the main home is a completely remodeled full bath with shiplap and reclaimed wood and exposed stone walls and is shared by two bedrooms. The third floor is a loft space(play room) and office space. Have guests in town? They won't want to leave as the cottage has living room with exposed stone walls, full kitchen, bedroom and full bath and laundry facilities. Even has their own private patio. 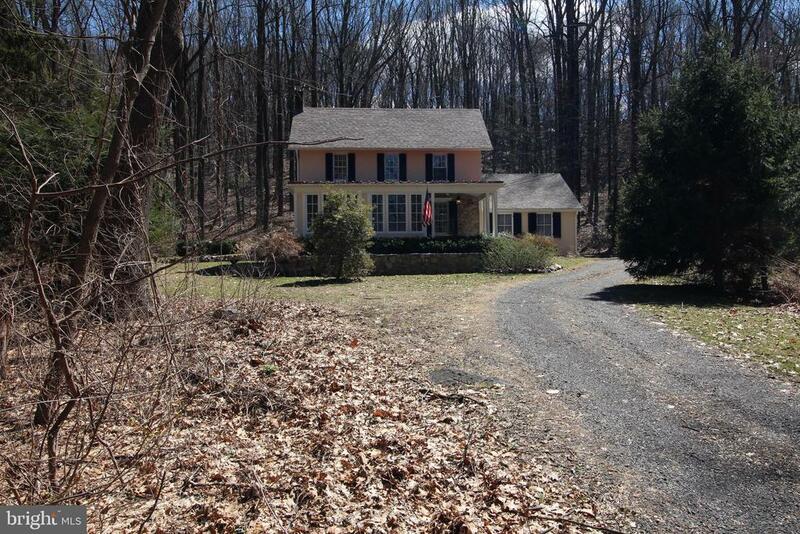 Create your own hiking trails and nature paths in your own back yard yard as you enjoy a piece of bucks county history.